"Perhaps not everyone has the luxury—" I start to say, but the sweet flesh of the fruit silences my rebuttal and I am helpless to agree. Walliser apricots come from the valley of the same name (Wallis in German, Valais in French) that is also Switzerland's best known wine producing region. So it's no wonder that apricots also like the warm, fertile conditions of the land. They are surely the pride of Swiss fruit production, with stands that sell the scarlet speckled fruits popping up throughout the country in July and August. The first Walliser apricots were planted in 1838 by Gabriel Luizet, a French priest and horticulturalist. The Luizet apricots are still harvested today, but their short season and delicate fruit mean that they are usually not transported very far from where they are picked. In the 1990s, the Walliser apricot farmers expanded their crops and experimented with different breeds. This helped to extend the harvest season and these new breeds are the Walliser apricots that we most often buy in the Coop and Migros today. Even the appetizing red flecks on the apricot skin, or rote Bäckli (rosy cheeks) as the farmers call it, are bred into the crops today. Although they are best enjoyed fresh by the handful, sometimes you may have a glut of apricots that could spoil quickly. 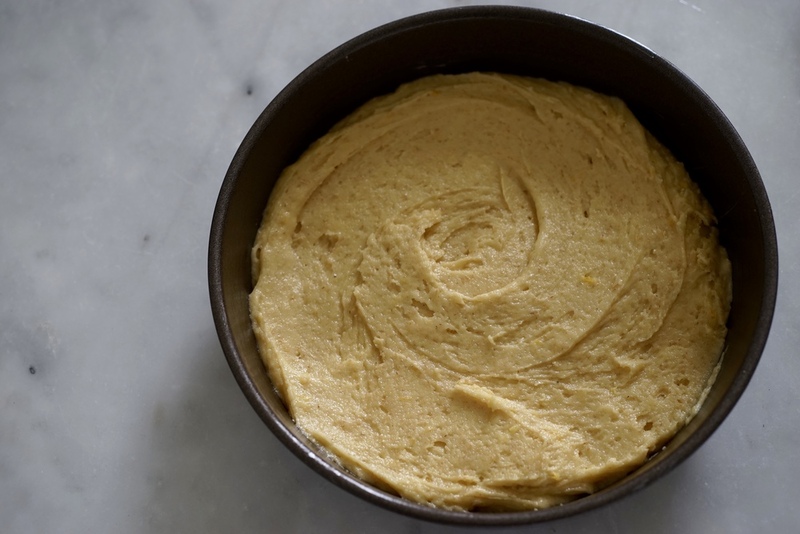 That means only one thing: a super fast and delicious apricot cake. The recipe here is courtesy of Sam's mum, Josy, and it can be whipped up and left to bake with minimal effort. Beat the butter and sugar until fluffy, then add the eggs, lemon zest, and salt. Beat until you have a fluffy, creamy mass. Mix together the flour and baking powder and fold this into the butter mixture. 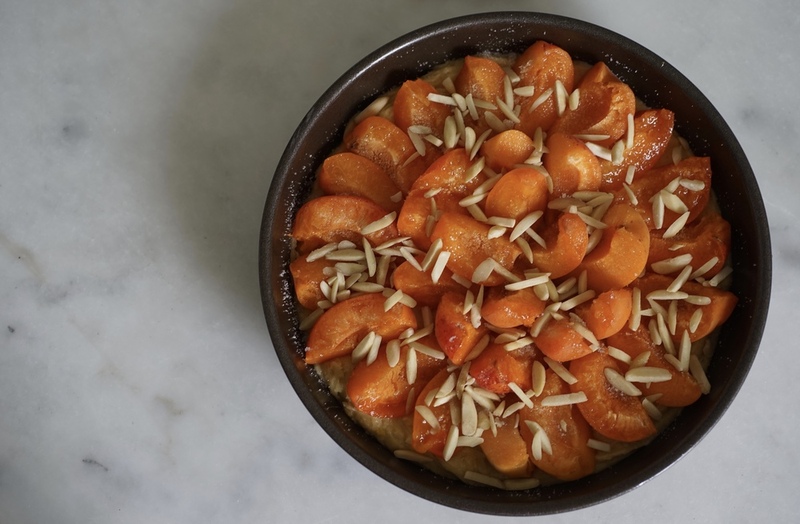 Scrape into a 24 cm (or 9 inch) springform pan and arrange the apricot quarters in a pleasing pattern on top. 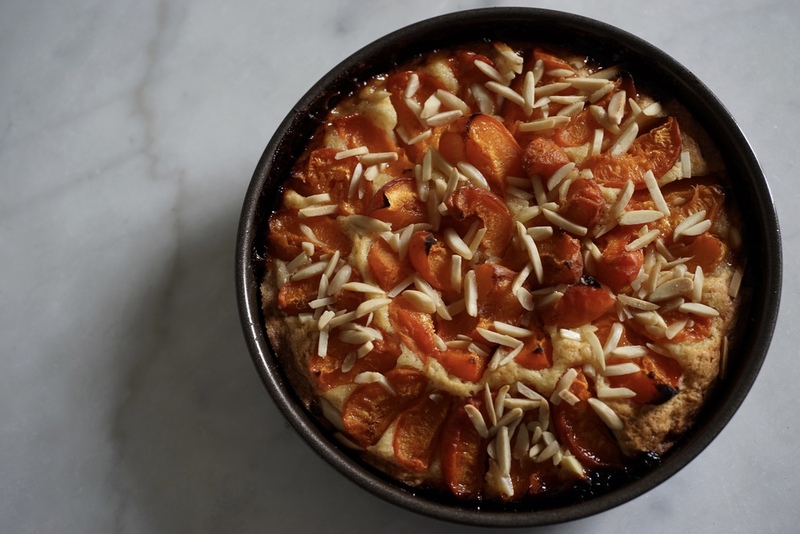 For the optional topping, mix the almonds with the sugar and strew over the apricots. Bake for about an hour, or until you can really smell the cake and it is pulling away from the sides of the pan. Of course any kind of apricot will do. 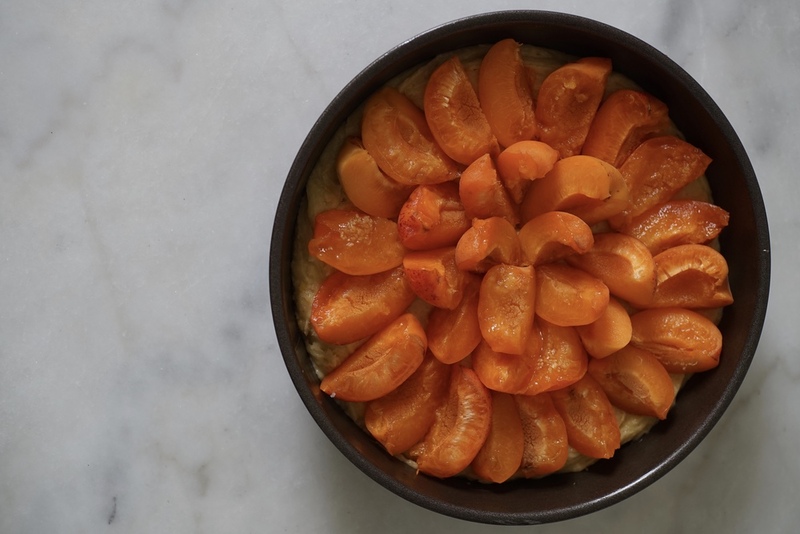 You could also replace the apricots with plums. You could replace the almonds with a sprinkling of ground nuts. Josy's recipe called for a springform pan, but I didn't have one at hand in this size, so I used a normal cake pan. It worked fine, but the end product is a little delicate, so maybe enlist some extra hands and a couple of offset palette knives when removing it from the baking form. You probably don't want to simply flip it over, as you might lose all the fruit. Do you also have plums?